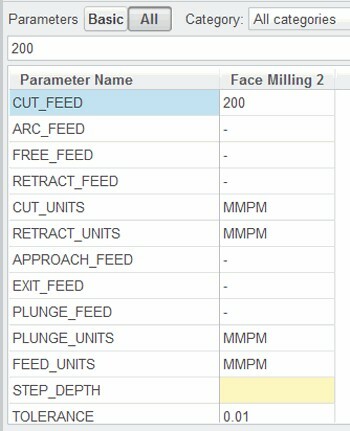 You can use cutting data stored within tools to transfer optimum feed, speed, and depth of cut parameter values into NC sequences. 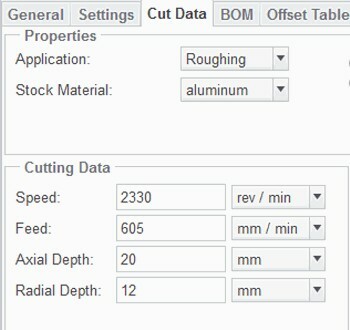 You can create cutting data for tools, enabling you to configure optimum feed rates, spindle speeds, and depth-of-cut. This data can then be passed into NC steps. The cutting data is based on the material that you are machining, the specific tool you are using, and the application, which can be either roughing or finishing. tool. 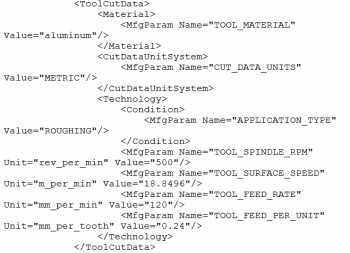 Within each tool file, you need to specify different cutting data for each different stock material. You need to create two sets of data: a .xml file listing the workpiece materials and a series of .xml files – one for each different tool you want to use. • Mfg_wp_material_list .xml – You store the list of workpiece (stock) materials within this file. You can create this file from the Operation Setup dialog box. 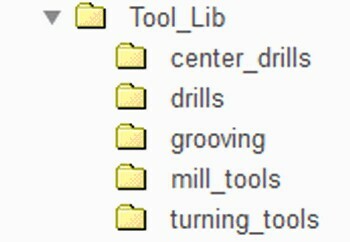 You can then manually add more materials to the file, as required. 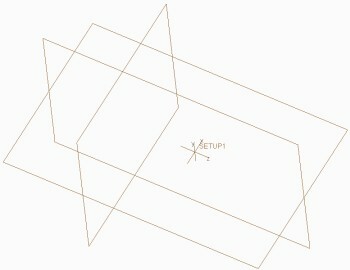 • Tool_name.xml – You configure feed, speed, and depth of cut data within these files. 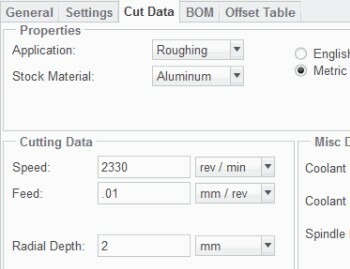 You can specify cut data for more than one workpiece material. You can configure the cut data information using the Tools Setup dialog box, and save the cut data when you save the tool. An alternative method involves configuring cutting data information in a directory structure with different directories for each material, and different text files for each tool. This method enables you to use pre-Pro/ENGINEER Wildfire 2.0 tool data and cutting data stored as .tpm files. 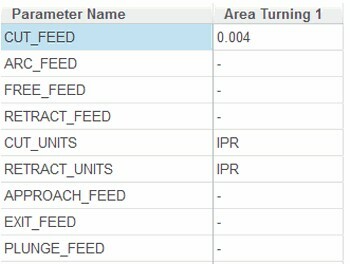 • You can manually transfer parameter values using the Copy from Tool option when configuring parameters in the parameter tree. • You can automatically transfer parameter values through relations, either in a parameter site file or as a parameter value in the parameter tree. 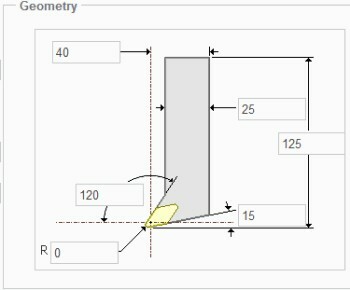 • For example, you can specify the relation STEP_DEPTH =TOOL_ROUGH_AXIAL_DEPTH. This controls the value of the STEP_DEPTH parameter in an NC step. 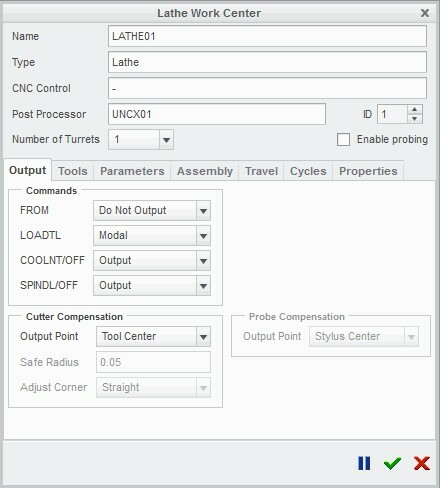 • You can use the mfg_param_auto_copy_from_tool configuration option to copy parameters from a tool into the parameter tree of an NC step.